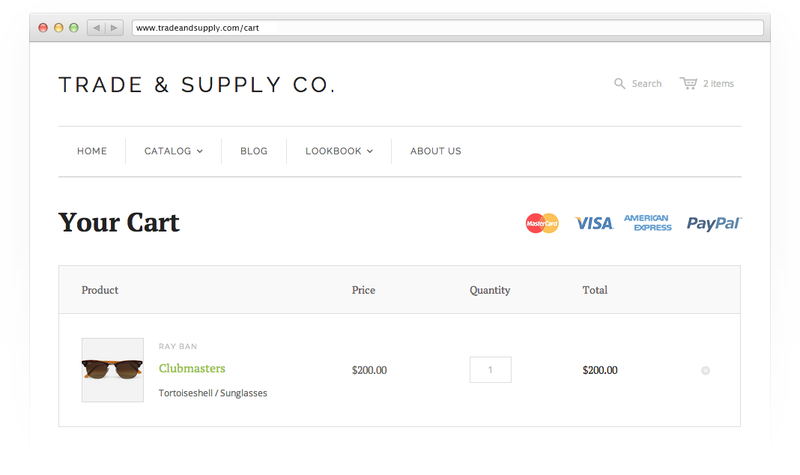 Use Shopify to create your online store. Everything you need to start selling online today. Accept payments with a powerful web shopping cart. Whether you want to continue using your current payment gateway or you don't yet have a payment gateway, Shopify accommodates your needs. Entering the name of your preferred payment gateway in the box on the right to see if it is supported. Or, choose from over 70 options in the Shopify database to get started. Set up shipping rates in a number of ways. Shopify's flexible shopping cart features let you organize your shipping according to fixed price, tiered, weight-based or location-based models. If you're a Business or Unlimited plan member with Shopify, you can receive automatic shipping rates from major global carriers including UPS, FedEx and USPS. Give your customers peace of mind. 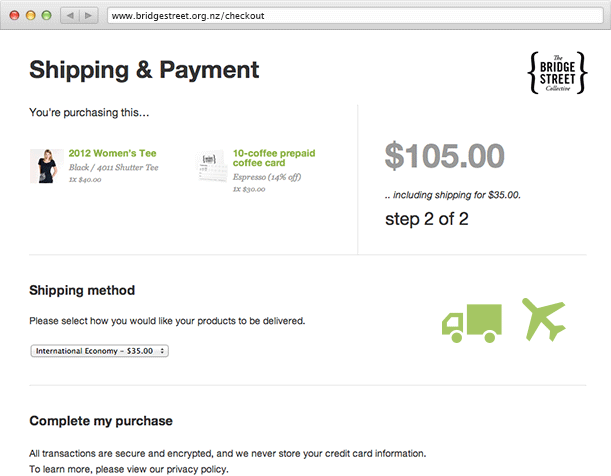 A simple, secure, glitch-free checkout process is essential to the long-term success of your online store. Shopify lets your customers conveniently place their orders and complete the purchasing process with full confidence. Setting up state & country tax rates on your own can be difficult. 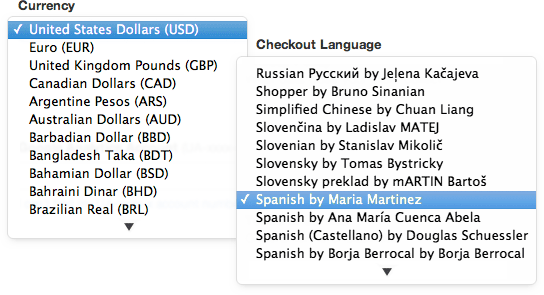 On Shopify, simply select your currency & our system calculates the appropriate tax rate. Your web shopping cart is equipped with over 50 languages for you to choose from, letting you easily translate your website's theme. Free of charge, your Shopify plan includes a 128-bit SSL certificate that works to keep your information secure around the clock. In fact, this is the same level of encryption used by major global banks! We make it convenient for customers to buy from your store using whatever payment method they like. With Level one PCI certification, you can accept all major credit cards with complete security.